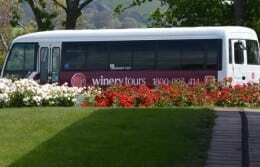 Departing every day from Melbourne, our Yarra Valley Wine tours promise an entertaining, sociable and educational day out. 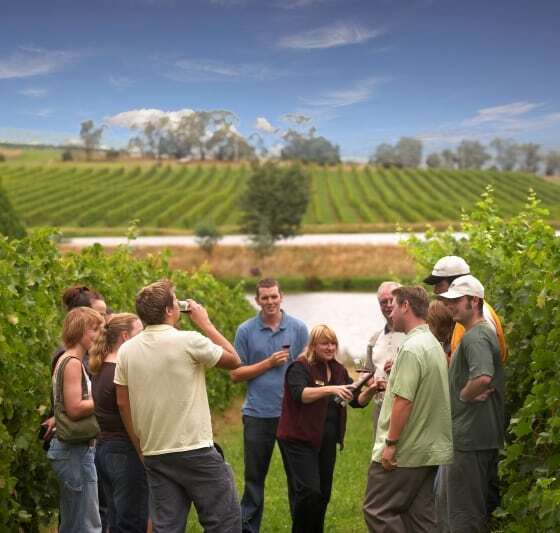 With the help of our expert guides, you will discover the richness of the Yarra Valley’s thriving wine industry. 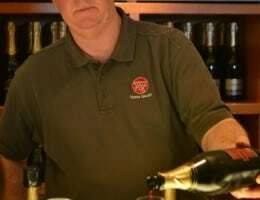 Guidance from a genuine Wine Expert, who is there to entertain and educate you, not just to dazzle you with wine snobbery! 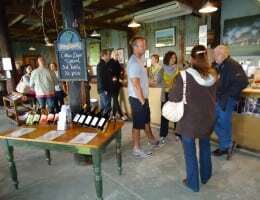 Tasting at the cellar doors at Yering Farm, Balgownie Estate and Steels Gate Wines. An a La Carte Lunch at Balgownie Estate, accompanied by a glass of the estate’s wine. A privately conducted tour of Domaine Chandon, complemented with a glass of their premium sparkling wine. Collect from designated pick up locations as per list and map further down the page and enjoy a less than 1 hour journey to the Yarra Valley. Steels Gate is a boutique winery situated in a picturesque hillside setting at Dixons Creek. 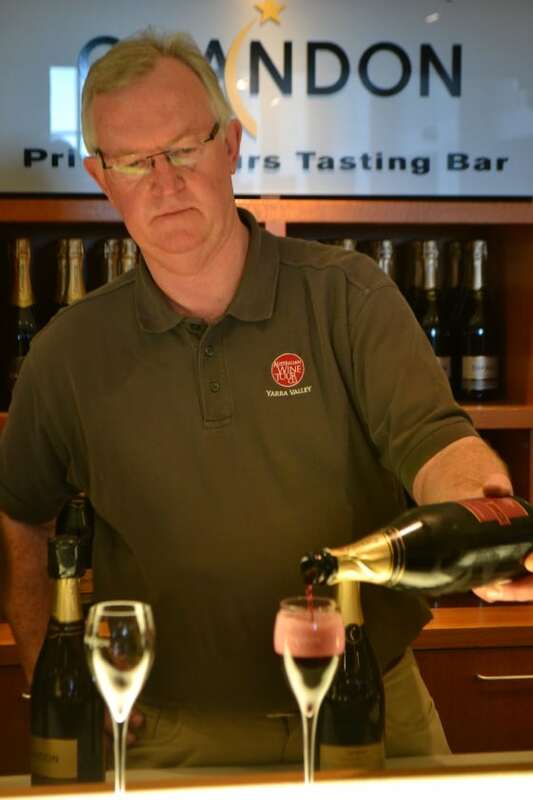 Their range of wines are all estate grown and estate made offering finesse and exceptional flavour. Enjoy the relaxed atmosphere which makes this the perfect place to experience delicious wines while absorbing the serenity of the Yarra Valley. Balgownie is one of the Yarra Valley’s jewels - a stylish winery featuring great views, with an excellent restaurant where we lunch with a glass of the Estate’s wine. 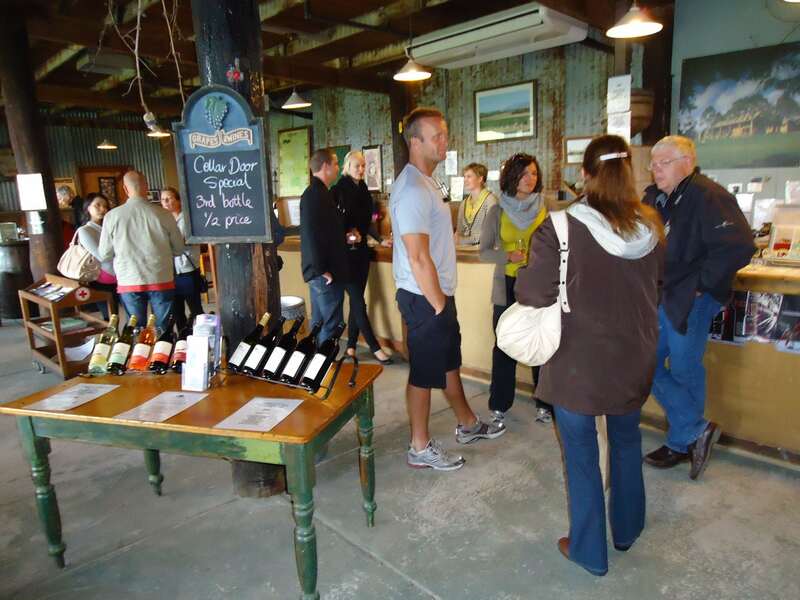 And, of course, there are more great wines to taste at the Balgownie cellar door. 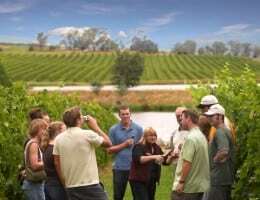 Yering Farm is one of the Yarra Valleys most charming boutique wineries. It has stunning views, and a delightful sense of heritage. At the Yering Farm cellar door you’ll experience traditionally-made wines, and see the antique copper wine-making equipment used by the Yarra Valley’s pioneer vignerons. How better to finish the day than with a visit to French champagne company Moet & Chandon's Australian production house. If you've ever wondered at the magic that puts the bubbles in bubbly, wonder no more - our privileged- access guided tour of the winery will reveal all. You’ll leave the riddling room to enjoy breath-taking views over a relaxing glass of Australia's best bubbly. Depart the Yarra Valley for Melbourne. Return to Drop off locations. The buses used for this tour can carry up to 24 passengers. However, to preserve the conviviality of our tours our policy is to limit group bookings to 8. Groups larger than 8 are welcome on our private groups. 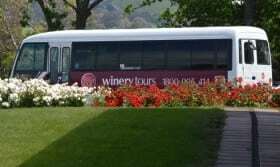 Tour participants wishing to join an existing group booking may not be able to do so if their participation would increase the group size to over 8, but will be accommodated on a separate bus. Please bring a refillable bottle of water as we strongly encourage drinking water throughout the day. 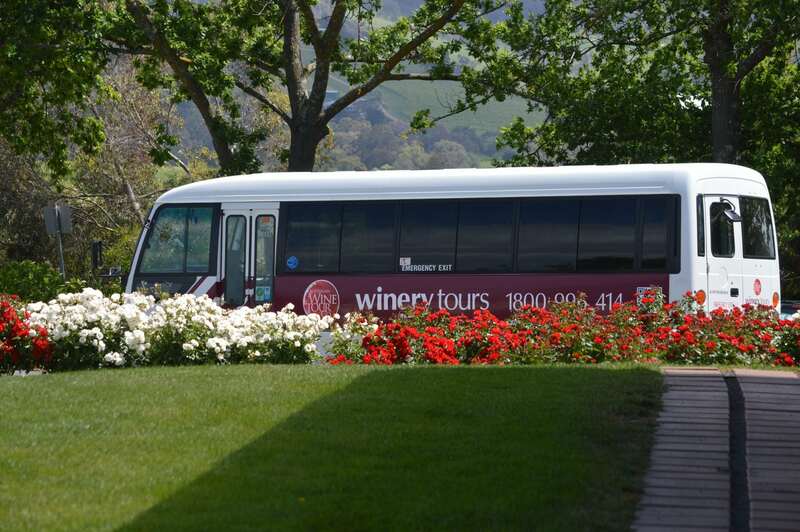 For a preview of your Yarra Valley Wine Tour, check out our video below. And our guest Mari’s fun filled tour video. There are 5 convenient locations for passengers to board the bus for the Day Tour. Please be ready at the pickup locations 10 minutes prior to departure.